vintage, japanese, pencils, tiny candy, victoria fancy, gakken, stationery. Here are 2 sets of vintage Tiny Candy H pencils. Each pack contains 5 pencils. In total there are 10 pencils. The items are in unused condition and have been kept in good condition. However, due to age, there is slight handling wear and there are surface scratches and marks on the front and back of the pencil container. Also, the pencils have aged slightly. Some pencils have yellowed and the color has changed. There are stain marks. 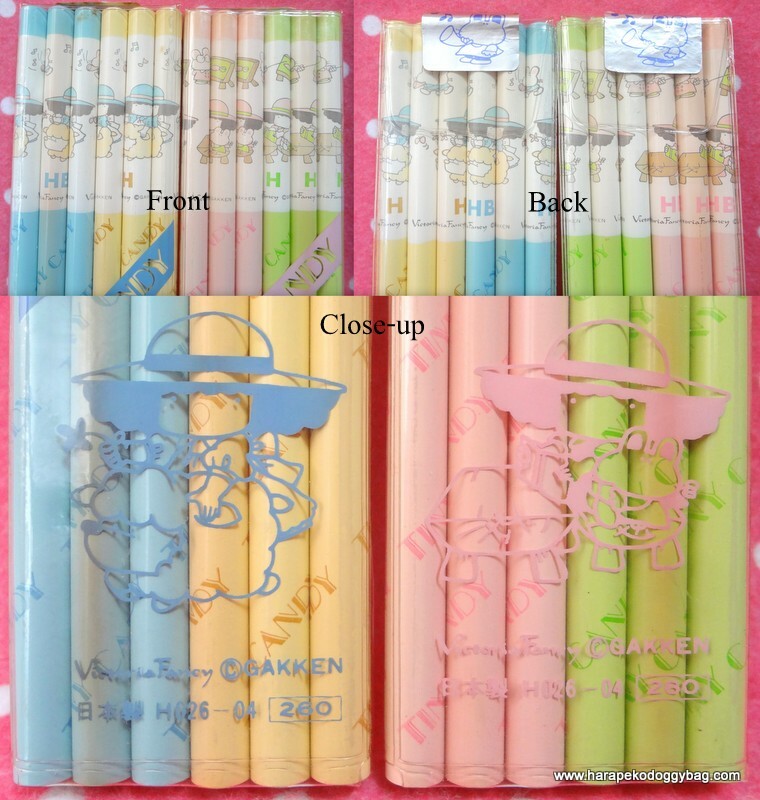 Keywords: vintage, japanese, pencils, tiny candy, victoria fancy, gakken, stationery.